The Husband and I went to a social media eat up at Irish 31 with Never Have I Ever Tampa Bay a few months ago and we received a credit to return for a full meal. We weren’t mad at all, since we love Irish 31. So we headed over for a beer, appetizer, entree, and dessert on the house. 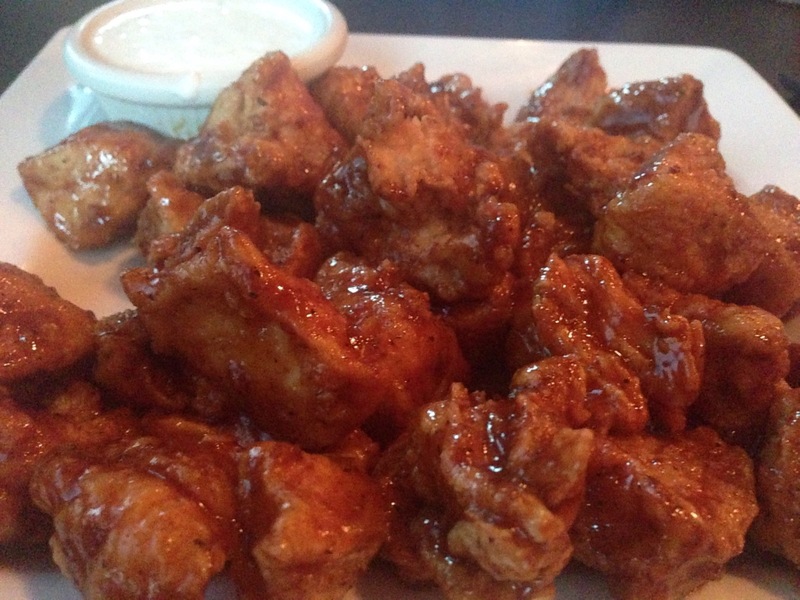 We started off with beers and boneless wings. We got the wings BBQ, because they use cumin (I’m pretty sure) in the BBQ sauce and its amazing. Probably my favorite in Tampa. 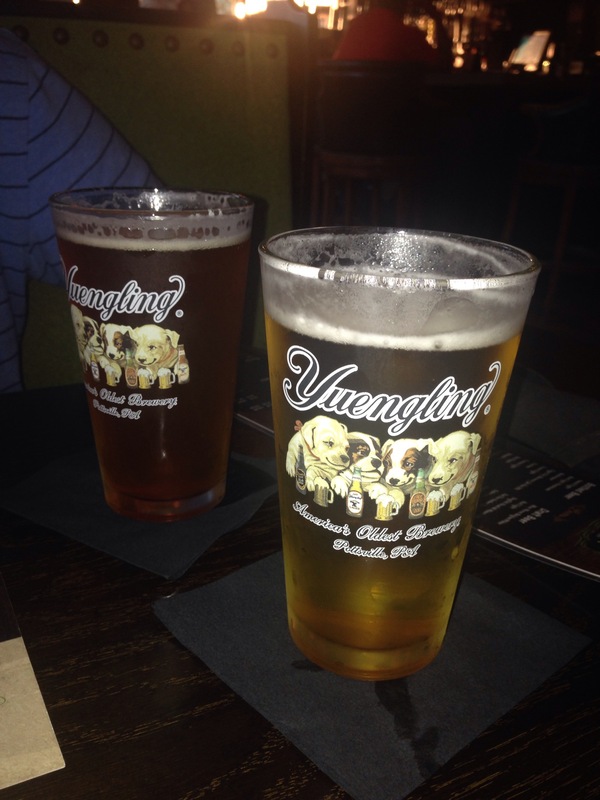 Neither one are actually Yuengling. Mine (the lighter one) is Stella and the Husband had SweetWater 420. The boneless wings tasted like actual pieces of fresh boneless chicken breast cooked to perfection and covered in fabulous BBQ sauce. I would probably order these as my meal. 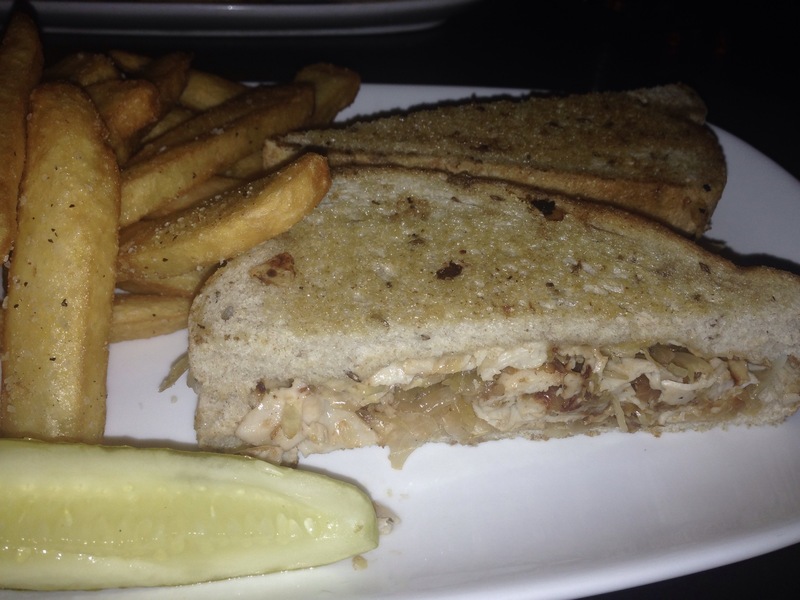 But since we had to order entrees (oh darn) I had the Reuben, but with turkey instead of corned beef. I don’t personally like corned beef, or most other meats, but I love sauerkraut and 1,000 Island dressing. It was so good. The perfect flavor combo and the fries are always just right. 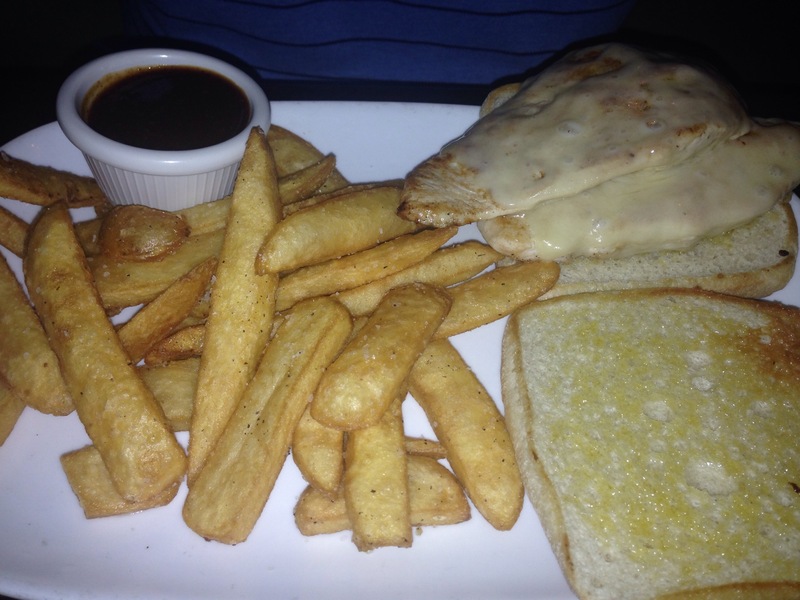 The Husband, being the Husband with his funny taste buds, had a grilled chicken sandwich and fries. But then he smothered it with the cumin BBQ sauce and made it pretty darn fantastic. And of course we had to have dessert. We actually ordered it to go, because we were stuffed full and had absolutely no room for anything more. It was entirely too much food. We rarely order appetizers and even less often order dessert. But we had to try everything so we did. We ordered the bread pudding. So now we think we should order out of order. I mean, who decided it should be appetizers, entrees, then dessert? Forget it. 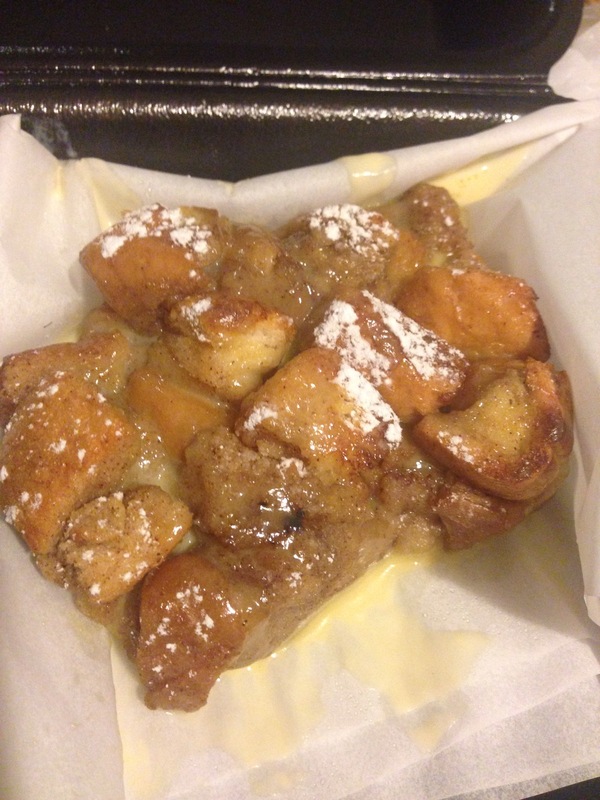 I’m having bread pudding first, boneless wings next (or maybe a flat bread; they’re delicious), then maybe an entree. Either way, its guaranteed to be fantastic, especially is you drown it in their BBQ sauce.